Facebook lies and hangs onto users deleted private videos on its servers as it continues to deal with the fallout from the Cambridge Analytica data scandal. What A Scumbag Company! Facebook has claimed a 'bug' caused the platform to save copies of videos that had been deleted by its users. The social network was recently caught storing videos that users had recorded but never posted on the platform. Facebook today apologised for the issue and promised that it would permanently delete the video content in question. 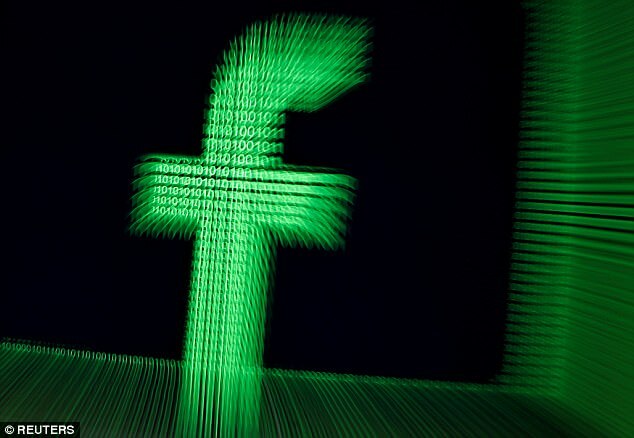 The apology comes as Facebook battles a privacy scandal over the harvesting of personal data on 50 million users by political firm linked to Donald Trump's 2016 campaign. 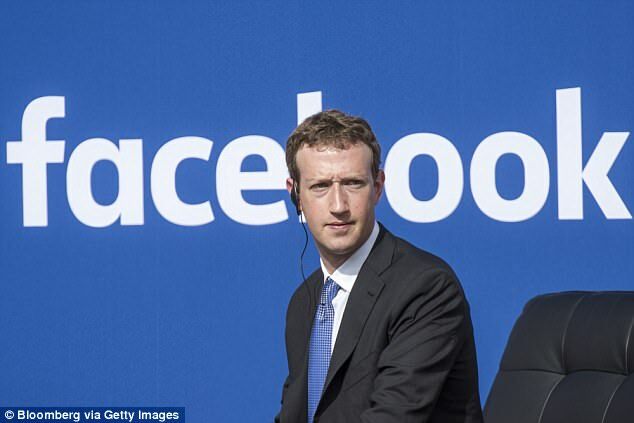 A Facebook spokesperson told MailOnline: 'We investigated a report that some people were seeing their old draft videos when they accessed their information from our Download Your Information tool. The company did not address how widespread the issue is and did not reveal whether there is a way to make sure videos have been removed. The issue emerged when thousands of users began downloading their personal data from the site amid the Cambridge Analytica data scandal. The documents includes personal call records, text messages, as well as your location each time you log into the site. 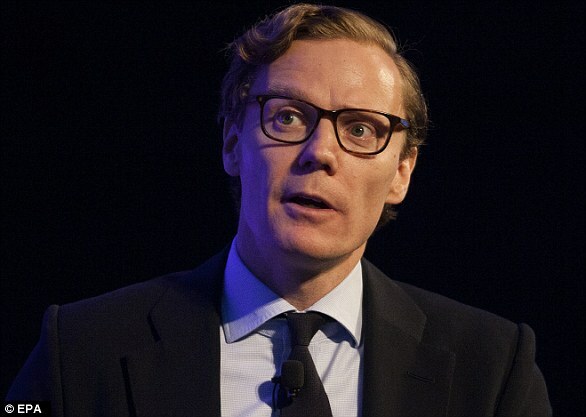 Communications firms Cambridge Analytica has offices in London, New York, Washington, as well as Brazil and Malaysia. This meant the company was able to mine the information of 55 million Facebook users even though just 270,000 people gave them permission to do so. Last Wednesday, users digging into the new feature complained that the social media giant had kept hold of videos they thought they had deleted. In the years before Snapchat, Instagram Direct and FaceTime, many people would post clips of themselves directly to the walls of their Facebook friends. Depending on what they were posting it's possible they recorded several takes. Many thought that those oft-embarrassing takes were history after they were deleted. But Facebook's user data logs have revealed the company held onto those videos all along. One Twitter user claimed that Facebook had been saving videos their friends recorded, but never posted on their wall, too. If you've downloaded an archive of your Facebook data, the videos are relatively easy to find. In each .zip file, Facebook categories the data into different tabs labelled under content headings like Photos, Friends and Ads, among other things. Under the Videos tab, there are copies of any videos you might have shared on another user's timeline, as well as the ones you deleted. To view them, you'll most likely need to download a free program called VLC Media Player, which is able to play a variety of different file formats. HOW CAN YOU DOWNLOAD THE MOUNTAINS OF DATA FACEBOOK HAS ON YOU? Downloading your archived user data from Facebook may reveal a laundry list of eyebrow-raising data points, from your personal call records, to text messages, as well as your location each time you log into the site. 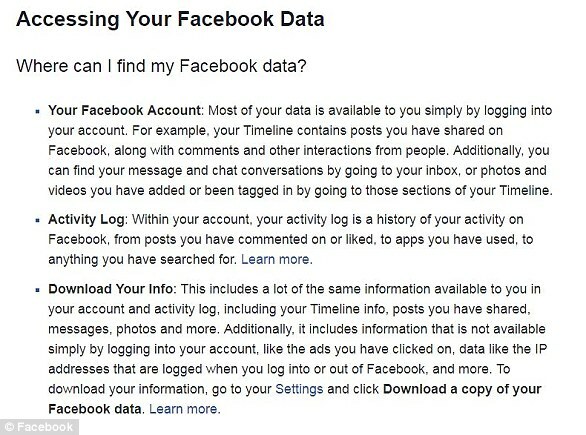 To download your data, first log in to your Facebook account. In the right-hand corner of your News Feed, there should be an arrow that displays a dropdown menu. From there, click on 'Settings' and click on 'Download a copy of your Facebook data' at the bottom of the screen. That will take you to a new page, where you can click on 'Start My Archive' to get a copy of what you've shared on the site, as well as any personal data that's been collected. Facebook may tell you to enter your password, as well as your email, so that it can notify you when your archive is ready for download. It may take several minutes depending on how much data you have and how long you've been a Facebook user. For example, if you've been a Facebook user for more than a decade, it could take up to 10 minutes for the company to send you your data. Once you receive your files, the information is broken down into sections like contact info, text messages, Facebook messages, advertisers and more. 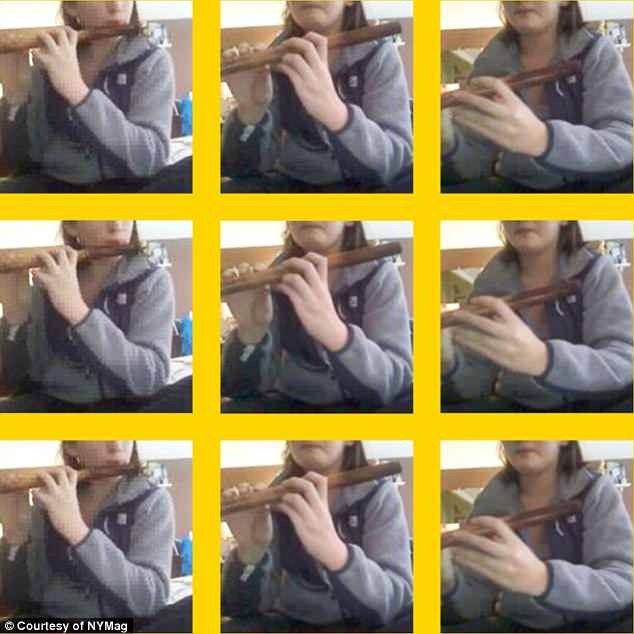 While it seems like a breach of privacy that Facebook kept these videos, according to the firm's data policies, it was well within its rights to do so. 'We collect the content and other information that you provide when you use our Services, including when you sign up for an account, create or share, and message or communicate with others,' Facebook's website reads. Even if you deleted clips recorded on Facebook, you still created them using the website's tools, which means the firm was technically allowed to store them. Yesterday, chief executive Mark Zuckerberg Facebook said Facebook would need 'a few years' to fix the problems uncovered by the revelations on the hijacking of private user data. Speaking to the news site Vox, Zuckerberg defended the company's business model and shot back at criticism of the social networking giant from Apple CEO Tim Cook last week. The chief executive also maintained that one of Facebook's problems was that it was 'idealistic,' focusing on the positive aspects of connecting people. Facebook shares are down 13 per cent since March 16, when it first acknowledged that user data had been improperly channeled to Cambridge Analytica. The company has lost more than $70 billion in market value since then. Zuckerberg himself is down more than $10 billion, taking his net worth to just above $60 billion.